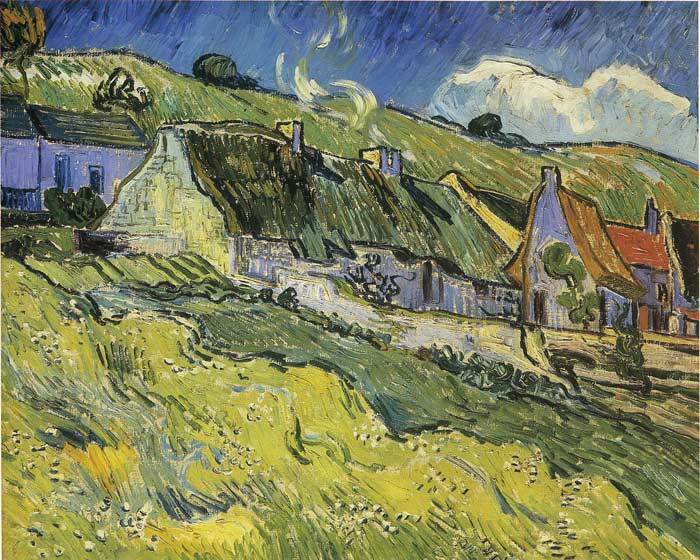 Vincent van Gogh suffers from "acute mania with hallucinations of sight and hearing." Although subject to intermittent attacks, van Gogh converts an adjacent cell into a studio, where he produces 150 paintings. Vincent van Gogh paints the world he sees from his room, deleting the bars that obscure his view. In the hospital's walled garden van Gogh paints irises, lilacs, and ivy-covered trees. Later he is allowed to venture farther afield, and he paints the wheatfields, olive groves, cottages and cypress trees of the surrounding countryside. The imposed regimen of asylum life gives van Gogh a hard-won stability. When losing the confidence to execute original paintings , van Gogh regains his bearings by painting copies after his favorite artists, including Millet, Rembrandt and Delacroix. He makes more than twenty copies of Millet's peasant scenes, and reinvents Delacroix's Pieta, in which the bearded Christ bears some resemblance to himself. SPECIAL NOTE : The painter will make the reproduction as close to the original oil painting as possible. If you want your painting to alter from this likeness, please email us and " Cottages, 1888 " will be reproduced according to your special requirements.